Select your design from 9 beautiful styles. 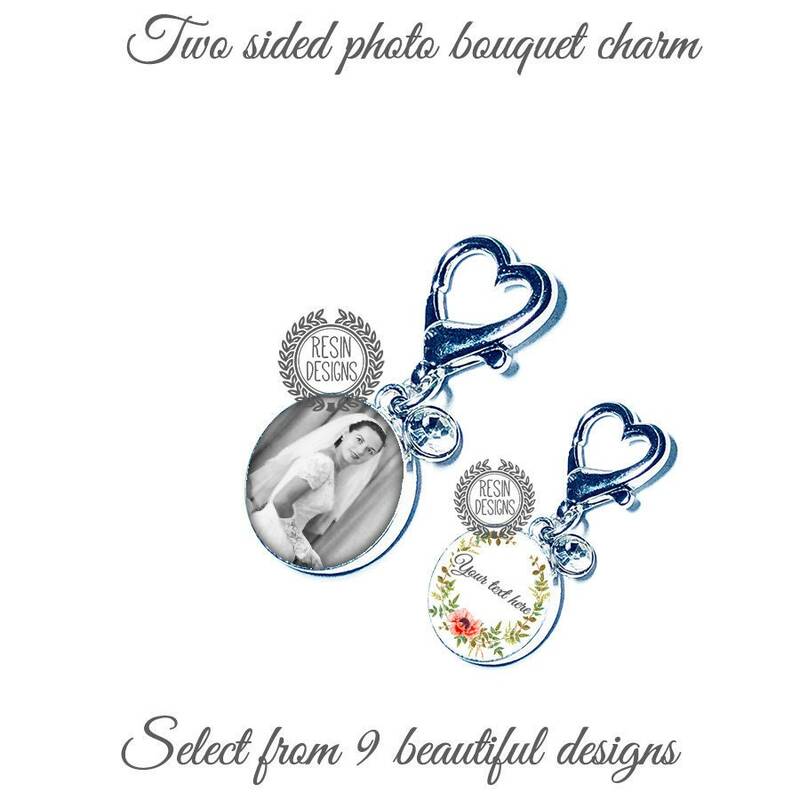 This beautiful silver plated custom 1" two sided bouquet photo charm is made using only the finest jewelers grade glassy resin in order to preserve and enhance the images. Included is a beautiful rhinestone dangle charm. Please note that this item comes with a large heart clasp. You simply clip this onto your bouquet. Once you have made your purchase, I will be in contact for the image(s) as well as any custom text you might want to use on the opposite side. I will send a proof prior to production of your item(s). Like all items in my shop, this is waterproof. If it should happen to get wet, just simply dry it with a soft cloth. 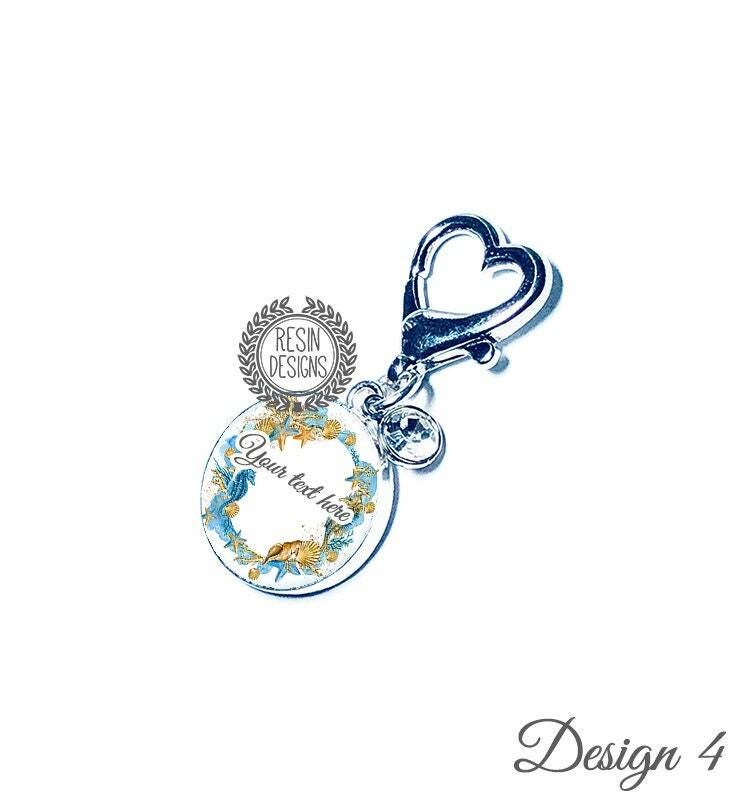 Also available as a four sided charm, please make your selection at checkout.